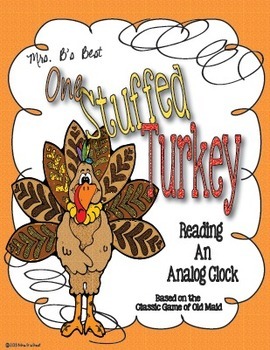 This One Stuffed Turkey card game is perfect for Fall Fun! 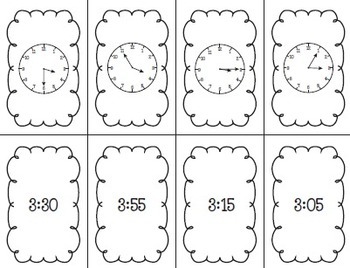 This set allows students to practice matching an analog clock face to a digital time in the classic ‘Old Maid’ game format. 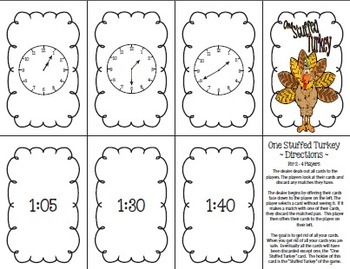 In addition, the cards could be used to play the classic game of “Concentration”--just remove the “One Stuffed Turkey” card. The set contains a total of twenty-seven pairs of cards. Also, included is the “Stuffed Turkey” card (my version of the ‘Old Maid’) and an instruction card.